Unless you’ve been graced with super-strength hair that can withstand almost anything, most of us encounter pesky split ends. 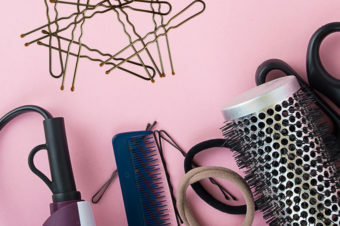 Heat styling, brushing and haircare routines all play a part in our overall hair health, but is it possible to get rid of the split ends for good? 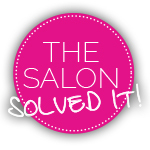 Here’s our top 10 tips to reviving your damaged ‘do. Though you can’t undo the damage once it’s done, by using targeted haircare to help with the appearance of split ends you can say hello to smooth hair in no time! As hairdresser to the stars, Sam Burnett at Hare & Bone sure knows a thing or two about keeping tresses looking fresh, so recommends treating damaged ends to plenty of moisture. For this, hair masks are the perfect companion, with products like KMS Tamefrizz Smoothing Reconstructor mask or the Aveda Damage Remedy Intensive Restructuring Treatment working wonders. Similarly, while there are no magic shampoos or conditioners to get rid of split ends, in many cases prevention is the best cure! Like with a hair mask, choose a super-nourishing duo packed full of moisture. This will also help to protect ends against other facts like colouring and heat. As your tresses are most vulnerable when wet, it’s super important to make sure you handle your hair with care during the drying process. During your morning routine time is often limited, meaning it’s very tempting to quickly rub a towel through your ends as a quick drying solution. A super-fast option? Sure, but rubbing your hair with a towel only promotes more breakage, in turn encouraging those pesky split ends to travel upwards. Instead, gently squeeze the excess water out of the hair using a towel. For this, Sam recommends the quick-drying Aquis range, which includes a hair turban and towel. When it comes to handling your hair with care, it doesn’t just stop at the towel. Though that trusty paddle brush may glide through your hair with ease, it could be causing more harm than good. 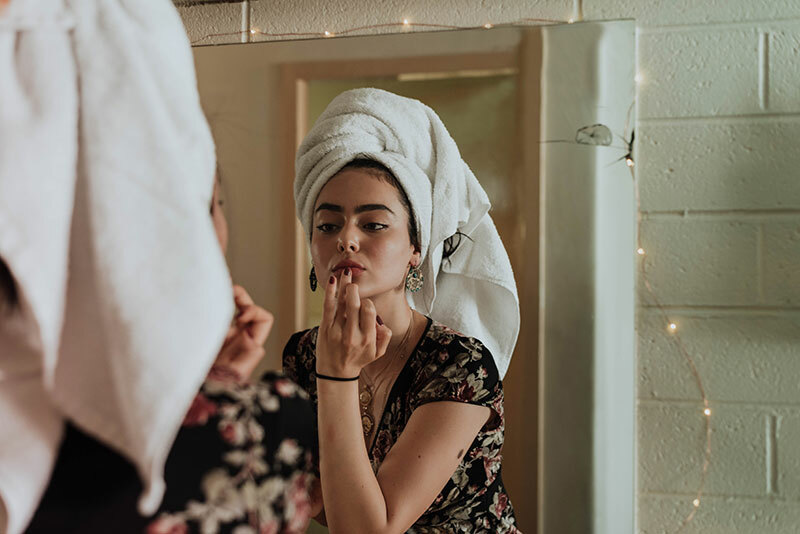 Instead, switch to using a wide tooth comb and start at the bottom of your hair before working up to avoid just dragging the knots and applying too much pressure. 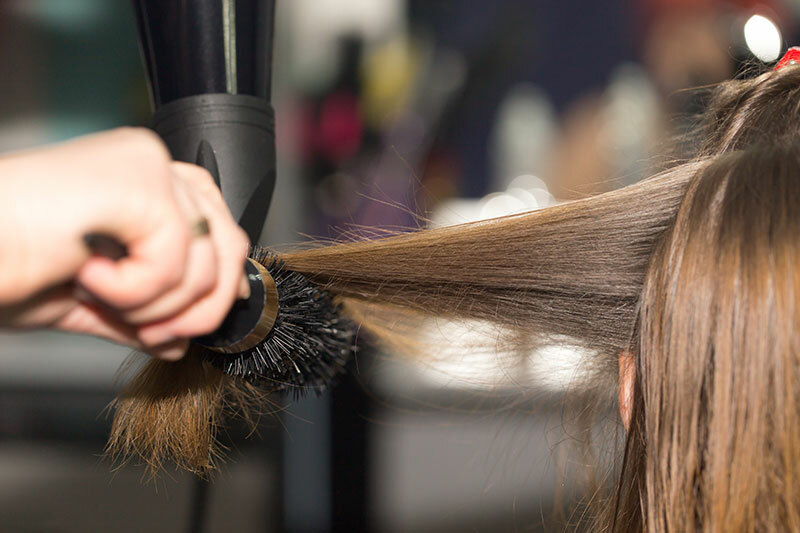 When time is of the essence, it can seem like a quick solution to opt for the highest heat setting before quickly running the straighteners through your lengths. In reality, this is one of the worst things you can do when it comes to preventing split ends, as this destroys all the good work of keratin – say goodbye to shine, strength and softness! 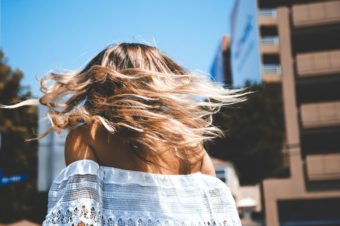 To combat this, stick to the optimum temperature of 180 degrees, as anything above will strip the hair of keratin and anything too low means you’re likely to have to use the tool more to achieve the same end result. Oil and heat are definitely not a match made in heaven, so it’s more important than ever to get your hair super clean. We’re all guilty of not rinsing thoroughly sometimes, but if any traces of conditioner remain, then you could actually be frazzling your ends rather than styling them. So, wash out all those excess oils and product build-up before turning to your trusted irons. 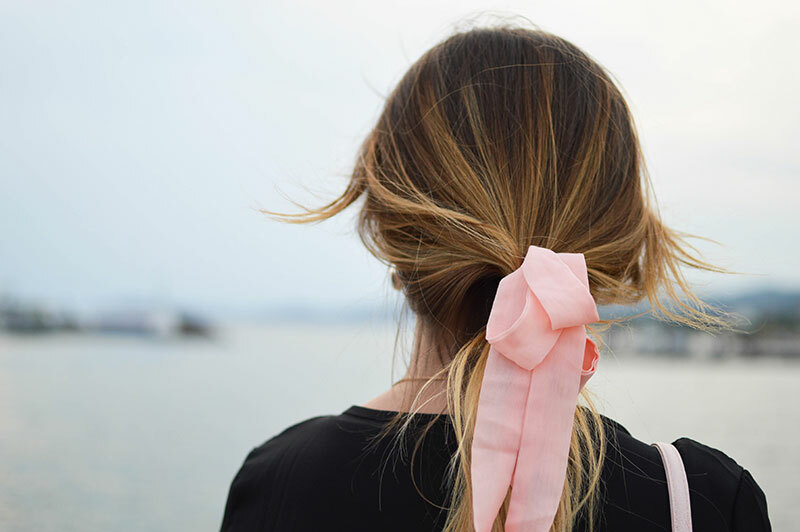 Though ditching your regular cotton option for silk may seem a little extreme, it’s a savvy way to prevent future split ends by protecting against more abrasive options which could damage the hair cuticle. Similarly it’s a good idea to tie your hair in a loose ponytail while you sleep, and the bonus is you can say goodbye to the knotted bedhead look too! Ultimately, if you really want to remove split ends for good, the only way is by giving them the snip. 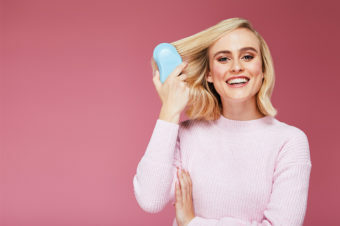 For those who aren’t too keen on frequent trims, it could be worth chatting to your stylist about hair dusting, as this will remove split ends without sacrificing your length. Kérastase's strengthening range is perfect for those with brittle, damaged hair or split ends. When used together, the range is great for repairing the feel and appearance of damaged hair. An intensive treatment packed with quinoa protein to strengthen damaged hair with deep repair. As well as cutting drying time by 50 per cent, this genius towel helps to reduce frizz and breakage for softer, smoother and sleeker looking hair. The Dyson Supersonic hair dryer has built-in heat protection, meaning heat is regulated to prevent extreme damage and ensure the hair's natural shine is protected. This lightweight balm helps to seal and protect against split ends by enveloping each hair strand, especially the mid-lengths and ends, in a smooth cocoon. Suitable for use on damp or dry hair, the ghd Heat Protect Spray shields tresses from potential heat damage, working to prevent split ends and reduce breakage. If you’re looking to invest in a new styling tool, the ghd platinum + styler is a great to place to start, as the new ultra-zone predictive technology ensures that the optimum temperature of 185ºC is consistent across the two plates. The sealer treatment helps build strength from root to tip and targets split ends. Simply brush on fragile or damaged areas of the hair, or all over to restore hair back to maximum strength.